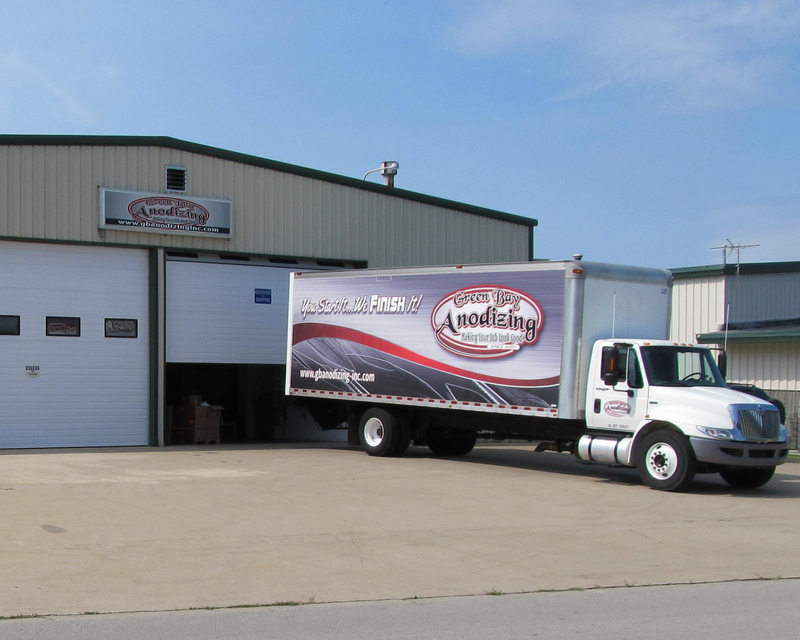 Green Bay Anodizing is located in a new, 18,000 sq. ft., state of the art facility at 2074 S Ashland Ave Green Bay WI 54304. Our dedicated staff uses only the highest grade chemicals in our custom crafted facility to ensure that each order is completed to the highest of standards. In 2016, Green Bay Anodizing became the 1st anodizer in the nation to become ISO9001:2015. We also are RoHS compliant. Our company understands the difficulties of Anodizing and its affect on aluminum. We know that we need to earn your business and are willing to work with you to meet your particular business needs. From rush orders to complicated masking, you can trust the staff at GBA. We also understand that metal finishing isn’t limited to industrial applications. We know that individuals have need of our services as well. Whether you’re building a custom motorcycle, fabricating a one of a kind automobile, or just trying to restore a piece of history, Green Bay Anodizing has the experience and facilities to meet your metal finishing needs.